The H stool, an icon of industrial aesthetics for almost a century, has made it through all times and styles, and become a classic in our collective memory, a “living heritage”, which is an illustration of the French art of living! 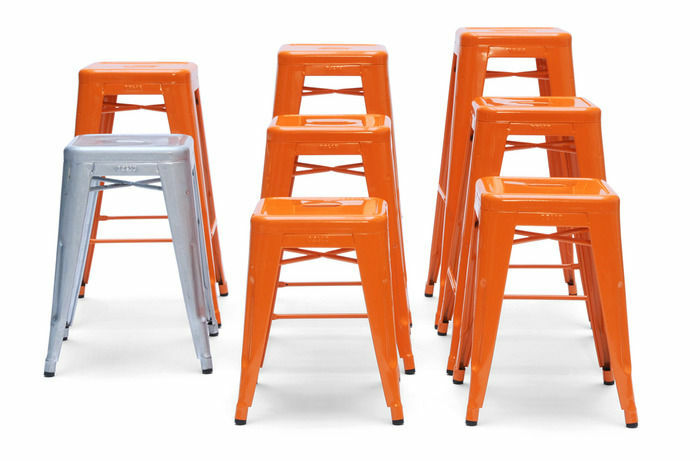 Having a modern style of the 1930’s – 1950’s, the H stool is solid and extremely light. 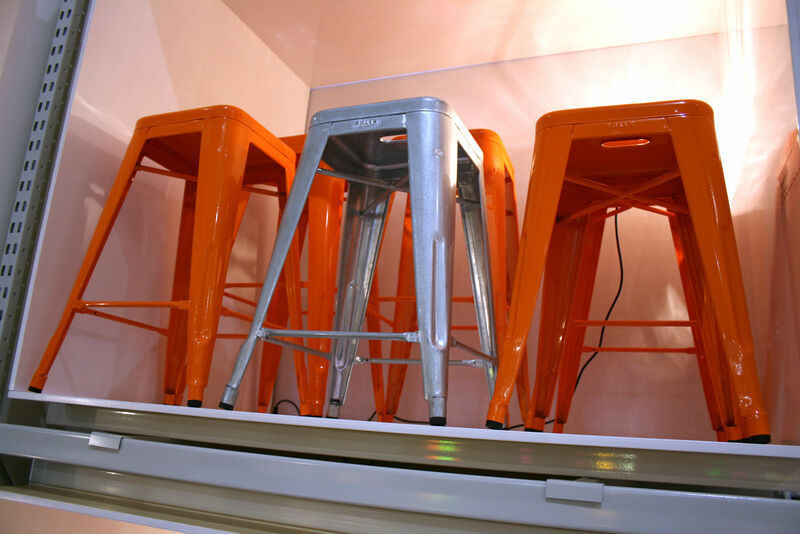 It is also stackable and space-saving. Its uncluttered but also practical look is the key of such success. It was present in a number of terraces and café in the fifties before finally getting into domestic settings. The metal Tolix chair has significantly marked the history of design. All the credits go to Xavier Pauchard, its designer, who used metal sheets and zinc for the first time in order to produce furniture series, which makes the Tolix chair the first industrial French chair. Nowadays, the company employs high-performance-machines that go along with manual operations and historical tools. Each single chair is thus unique and has a Tolix signature. Tolix has certainly deserved the “Company of living heritage” that it received from the French Ministry for Economy, Finances and Industry in 2006. 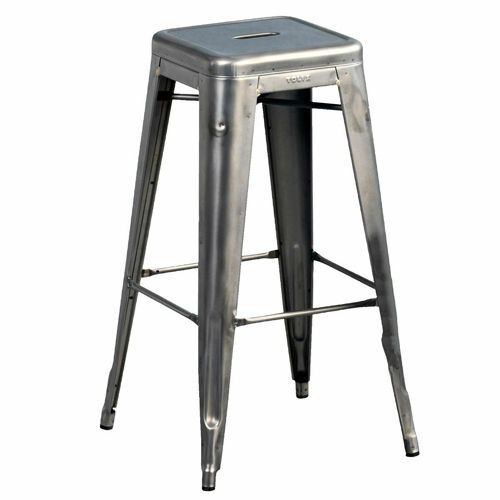 This H bar stool (H 75 cm), made of raw steel sheets and high-gloss colourless varnish, has not been galvanized and cannot therefore be used outdoors. Also exists in powder-coated stainless steel. This version with transparent varnish has visible welding points, which gives the chair a touch of handicraft and highlights the raw aesthetics of this product.